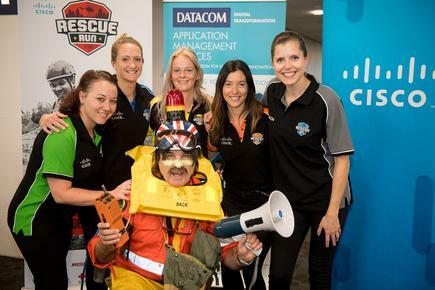 Dave Wilson, general manager of Cisco NZ, calls on Kiwi businesses to swap their corporate gear for trainers, and support the world-first charity adventure race, Rescue Run. Rescue Run will be held on September 8 at Woodhill Forest in West Auckland. The goal is to raise awareness and $500,000 for vital life-saving emergency services and Youthline. The latter provides counseling, support and youth development services for youths across New Zealand. “All of us share a responsibility to help find a solution, especially businesses. Cisco has decided to act, working alongside the Rescue Run and the inspiring Jake Bailey to spread a message of digital ‘hope’ and literacy through schools. “We need to remove the fear surrounding digital; AI, robots replacing jobs and the widening gap between ‘haves’ and ‘have nots’ and lift our youth up on the digital wave, using it to close the social economic divide,” he adds. 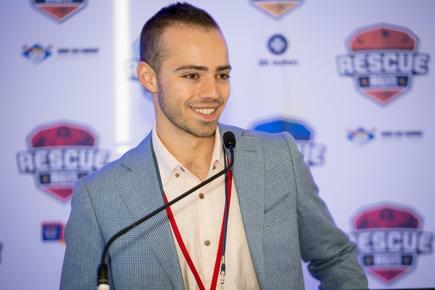 Jake Bailey is Cisco's ambassador to the Youthline Division. Apart from sending teams in the race, Cisco says it is also working with Youthline to introduce a technology platform which will revolutionise the way Youthline teams around the country speak to and support one another and assist more young Kiwis in need. Each team that will enter the race are pledging to raise $5000 for either Coastguard Northern Region, Auckland Land Search & Rescue, Fire and Emergency NZ, Surf Lifesaving Northern Region or St John. When Rescue Run was launched in 2016, 42 teams raised over $185,000 which is equivalent to an impressive 37 lives saved, says Wilson. “These amazing services are charities, those who help us save our loved ones are volunteers, it is not a well known fact,” says Wilson, who joined the 2016 event. “Let us not stand in the sidelines,” says Wilson. 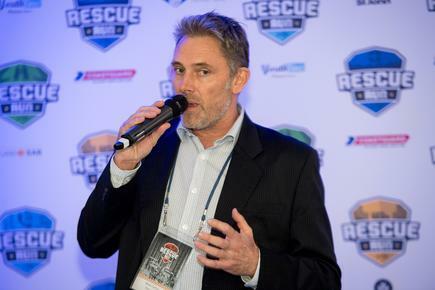 Rescue Run is the brainchild of Mark Cathro who, through personal experience with the Auckland Rescue Helicopter Trust, learnt just how important their service is and as a result was motivated to create an event that would raise both awareness and funds for these vital services. “It’s a real privilege to be able to bring so many amazing organisations together on a single project,” says Cathro, during the launch held in the Auckland building of Datacom, another major supporter of the project. The teams will need to navigate across 15 kilometers of a high-intensity obstacle course, and through simulated disaster zones. The obstacle disaster zones, designed by disaster relief and emergency service professionals, will be constructed to simulate real world rescue scenarios. These include a flood, mudslide, car pileup and a cyclone. Each team of six will be equipped with matching helmets, a gurney, a first aid kit, race bibs and specially designed event equipment. Teams will also have on-going support and resources from the Rescue Run team to help them reach, and exceed, their fundraising target. Each team will be composed of six people, two of which must be female. “This is the ultimate team building experience,” says Wilson. His top tip for those joining the race? 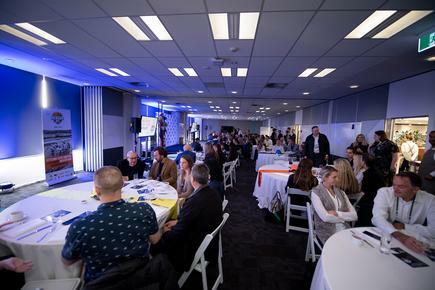 The launch was held at the Datacom building in Auckland.